Why has Sir John Kirwin(JK) done well so far this season, and Jamie Joseph so badly as a leader this Super Rugby season. The old saying of a champion team versus, a team of champions, certainly applies to Jamie Joseph and the Highlanders. He is a leader who has over achieved with previous underdog status, yet this year has the beef, player power, but not the results. He changed the impressive team culture that he used to have by hiring the big guns. Yet, he is not taking responsibility for managing the change. After losing a few too many close games, he recently said something like “We played well, not much is wrong,” Well my view is very differnt, losing so many close games, suggests much is wrong in the team culture. My view is that Jamie needs to get his head out of the sand and face the reality. Take a few lessons from JK and work on team culture. JK has created the belief, the vision and the culture that people will die for! 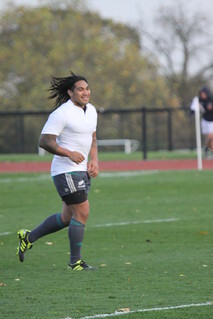 Does Ma’a Nonu have such an influence in creating the wrong culture? I would love to know that! Our unconscious programing is what creates our behaviour, which in turn creates our results. Hence I wonder what his unconscious stuff is that creates his mindset and performance, yet this is hidden from our view and maybe his also! The Crusaders who have lacked success in recent years under Todd Blackadder, is an example of a team that historically have had the culture right, although maybe currently not the right coaching leadership. To improve, all leaders need to be accountable and be able to learn from a self review of their results. Hence why Todd as a coach is looks to be underperforming. Getting back to my general comments about culture in sport, a Crusaders example in a recent media interview is that when recruiting they look for people with good values, they look for people who are good people and family oriented. This is an example of building a team culture, not buying a team culture. In business team culture is even more critical, as profit depends on it. Most organizations do not set out to consciously create and maintain their culture. It grows sporadically and by default. It is the cumulative effect of the staff’s values, thoughts, words and actions. The more aware and inspiring CEOs create a culture that is the living breathing ethos of their organization, that is dynamic, alive and helps develop people into leaders. Top down cultural change is better than no cultural change, when it is needed. However, it is a team orientated culture that truly builds inspired self reliant teams that take full responsibility for creating their success. What can you do to improve your culture as a family, group of friends or team?